Do You Own a House in Olathe, Kansas? The Sierra Group LLC Would Like to Make You a No-Obligation Offer Now! You can end the headaches, hassles, and frustrations of a burdensome property right now! Tired of being a landlord, property manager, maintenance man and debt collector? Sometimes rental properties are more trouble than they are worth. Do you own a house in need of major repairs? You don’t have to go into debt fixing your house. Do you own a vacant or uninhabitable house, and you are sick of paying property taxes? Did you receive an unexpected inheritance, and have no idea what to do with it? No matter what situation you are dealing with, we are ready to help. We will always be straight-forward and honest about how we can help you. We are very transparent in our process and will always treat you with fairness and respect. We are Veteran owned and proudly hold an A+ rating with the BBB. We have helped hundreds of people since starting our business, and we would like to help you too! The Sierra Group LLC is fantastic! They have all the right connections to get the paper work done on selling a house. Those connections saved us a lot of leg work and phone calls on getting the title to our Parent’s home switched over to just my Mom’s name as my dad had passed away 12 years ago and she never had his name taken off the title.The transaction was so effortless. Ben Souchek was so easy to work with and to talk to. He truly listens to your concerns. He is not a used car salesman talking a hundred miles an hour. He hides nothing, no lines to read between. Truly an honest midwesterner gentleman. 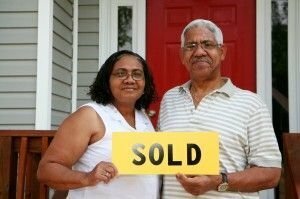 We needed to sell the house as is and we needed to sell it quickly to pay off the nursing home bill. The check was in my hand in no time and had we waited to clean out the entire house, paint it, gut the cabinets and bathroom and remodel we would have lost money. With no time, no money to fix it up, no help, Ben was an angel in disguise. I highly recommend the Sierra Group LLC for anyone needing to sell a house quickly. If you own a home in Olathe or the surrounding area, we want to talk to you! We will pay you a great cash price for your home today! You have nothing to lose! Give our team a call now!